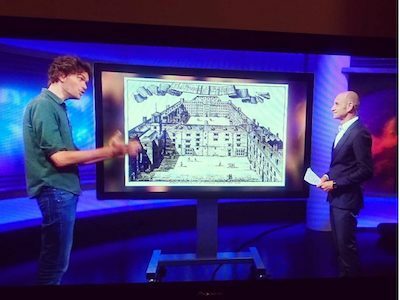 I’m excited to report that I was live on BBC2’s Newsnight on the anniversary of the Great Fire. Following an article I’d written in the Guardian, I was summoned to Broadcasting House to talk Newsnight presenter Evan Davis through some the amazing buildings destroyed in – and after – the Great Fire. 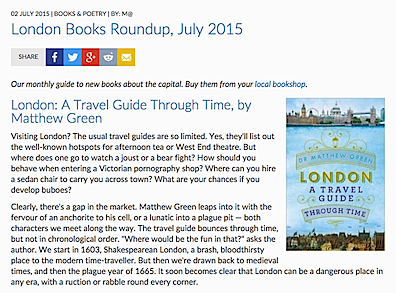 Matt writes a Guardian feature on the Great Fire! To celebrate the 350th anniversary of the Great Fire, I have written a feature for the Guardian. 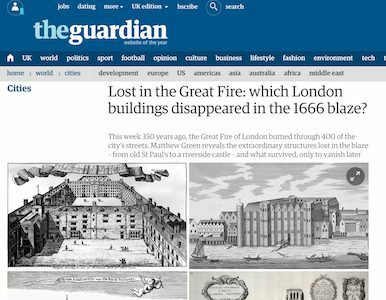 Normally at this time of year, newspapers consider which buildings survived the Great Fire and tell us where we can see them today. But I thought it would be fun to turn this on its head and explore which iconic buildings were destroyed in the Fire. 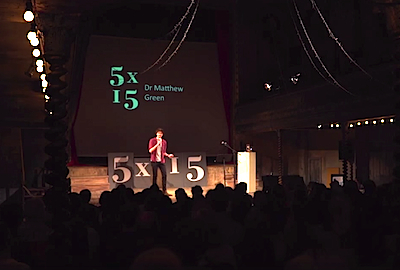 Dr Matthew Green was one of four presenters of London’s Lost Graveyard, an acclaimed Channel 4 documentary first screened in August 2015. The documentary, directed by BAFTA-winning director Kenny Scott, explores the secrets of a 300-year graveyard unearthed by the Crossrail construction project next to Liverpool Street Station. The Londonist – the thinking man’s Time Out – has described it as “easily the most engaging social history of London since the books of Liza Picard a decade ago”. Tina Baxter is a force for good. She is a fully qualified City of London guide with an ever expanding armoury of original tours at her disposal and we’re very grateful to her for her tireless cheerleading for Unreal City Audio. 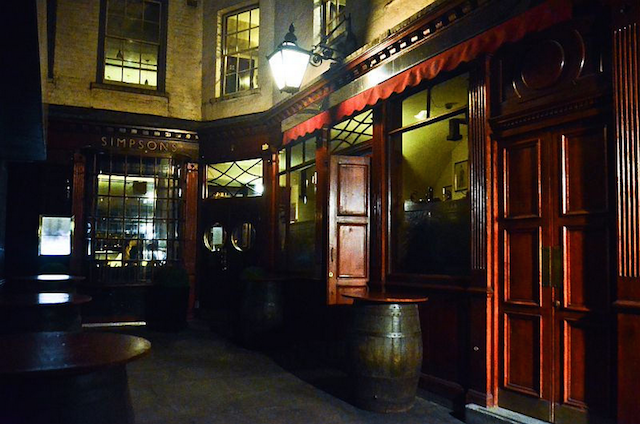 A couple of years ago, over gin & tonic (a couple, in fact) she came up with a brilliant idea to stage a night of history, performance, hearty grub and even heartier but not remotely grubby company in the snug of a Georgian chop house fired by wine, coffee and port. She called it the Georgian Dining Academy. 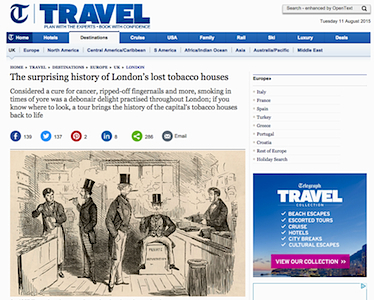 Did you know that in Jacobean London, there were 7,000 tobacco houses? And that the “holy herb” was seen as a catalyst for creativity, cure for cancer, and a wholesome and nutritious breakfast for schoolchildren (even if it did ‘make your breath stink like the piss of a fox’)? 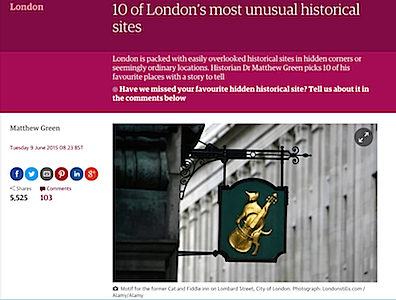 I’m excited to report that my recent feature for The Guardian exploring 10 of London’s most unusual historical sites has now been shared over 5,000 times and ratcheted up over 100 comments – some, even, nice. Read the feature here. 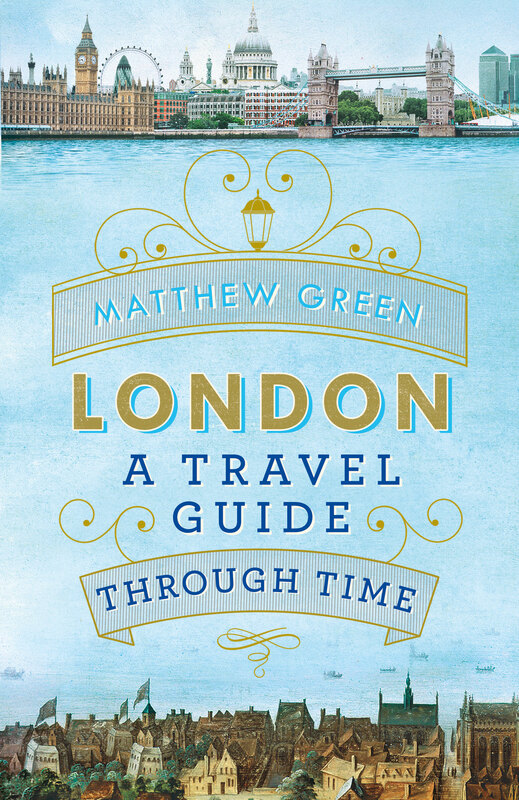 It’s been a long time in the making, and now we’re very excited to say that Dr Green’s new book, London: A Travel Guide Through Time will be published by Penguin on 18 June 2015. 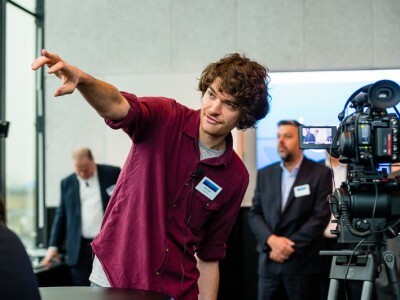 Following a successful debut for our clients William Hill at the Hoxton Hotel in December 2014, Unreal City Audio is thrilled to announce to launch of our Corporate Skyscraper Tours.